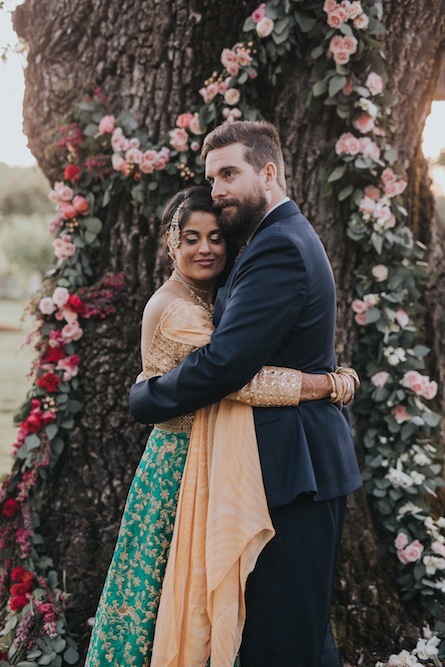 John and Ushi are some of the most wonderful people you will ever meet. 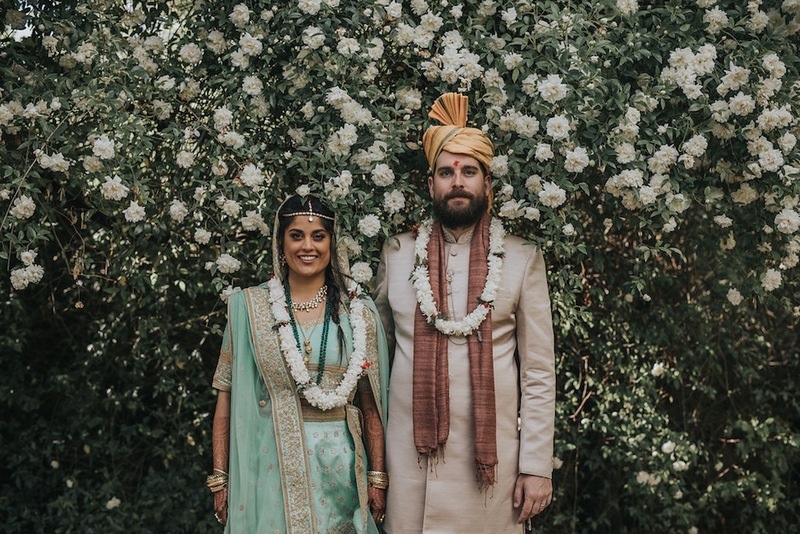 They are grounded, fun and passionate and their wedding was a beautiful representation of the two of them as individuals and as a couple. 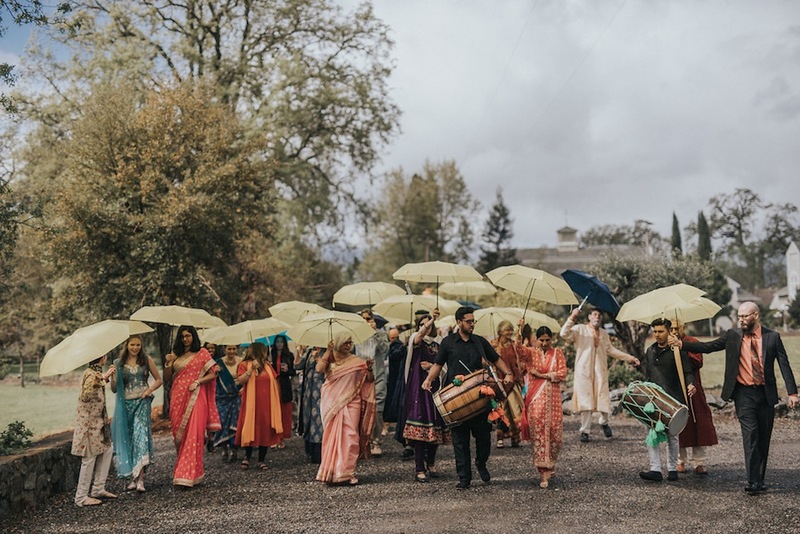 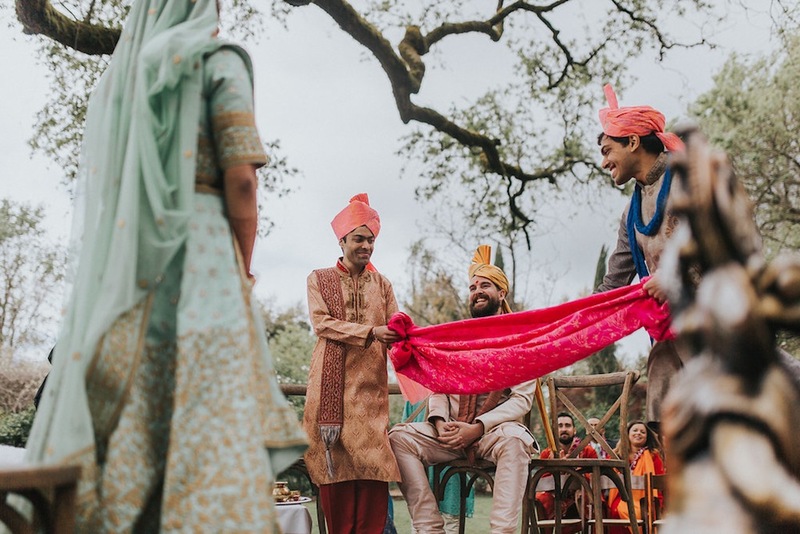 The wedding beautifully fused together Ushi’s Indian heritage and John’s Western Culture. 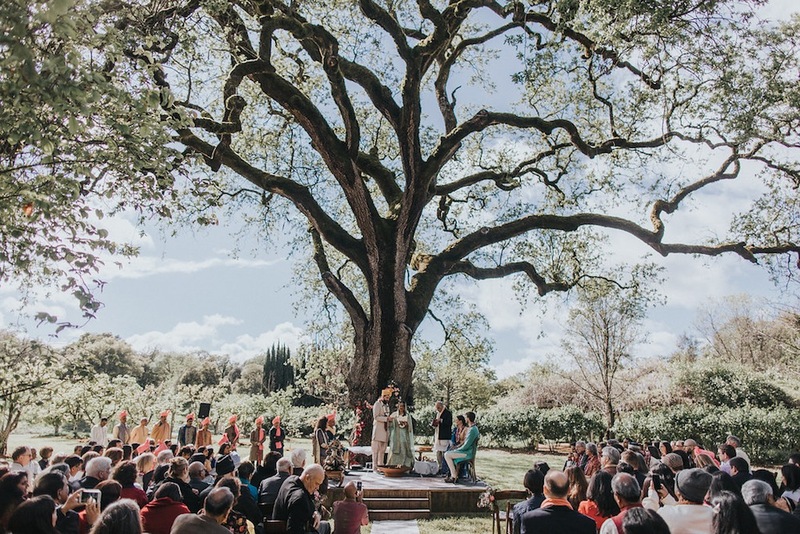 The ceremony took place in front of a massive oak tree that had been decorated with ombre pink flowers. 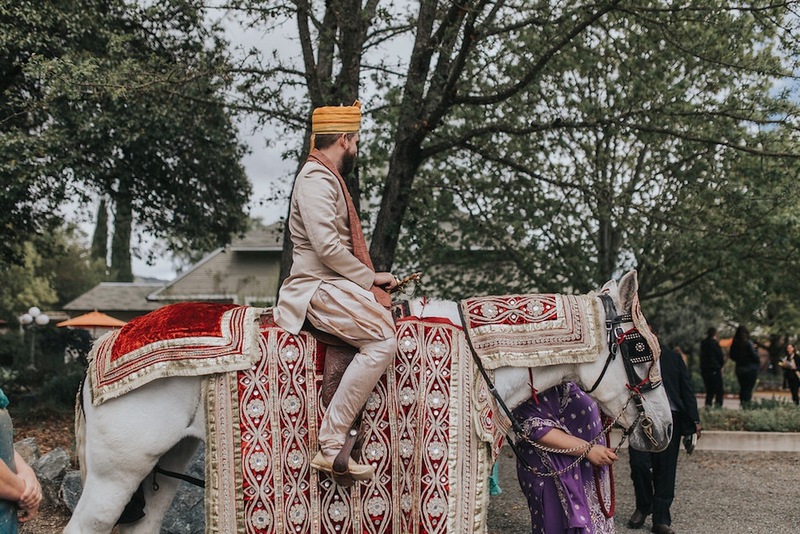 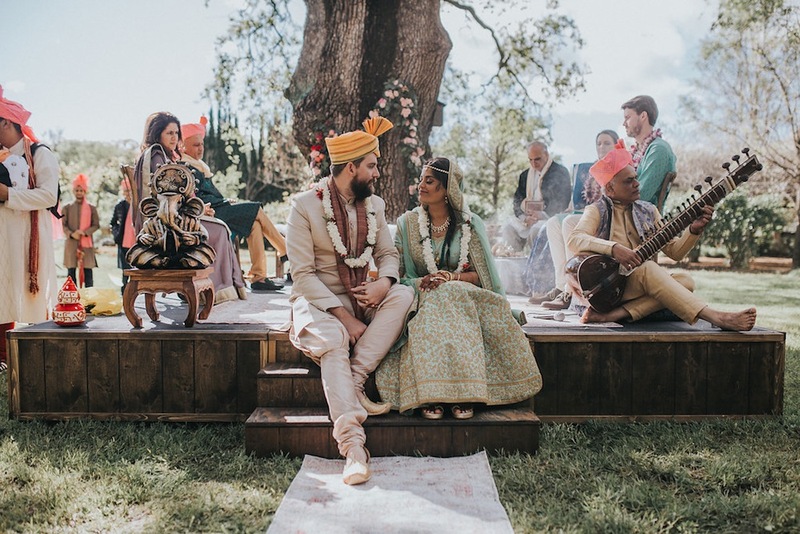 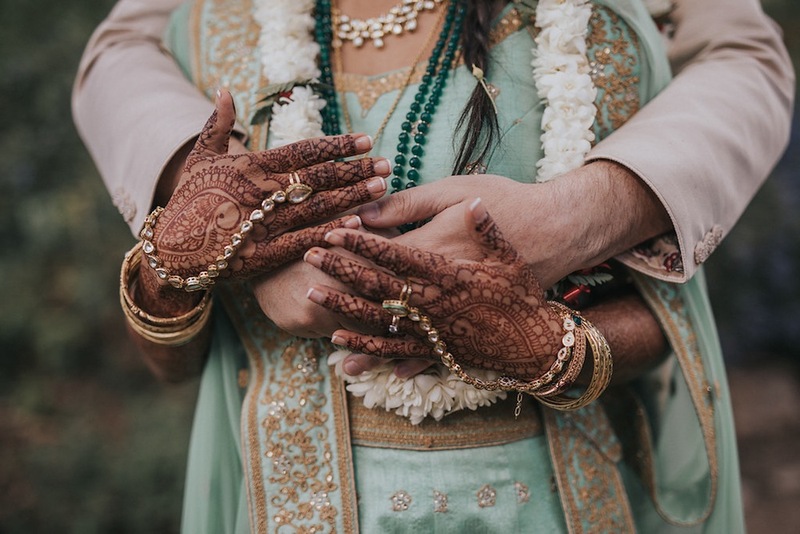 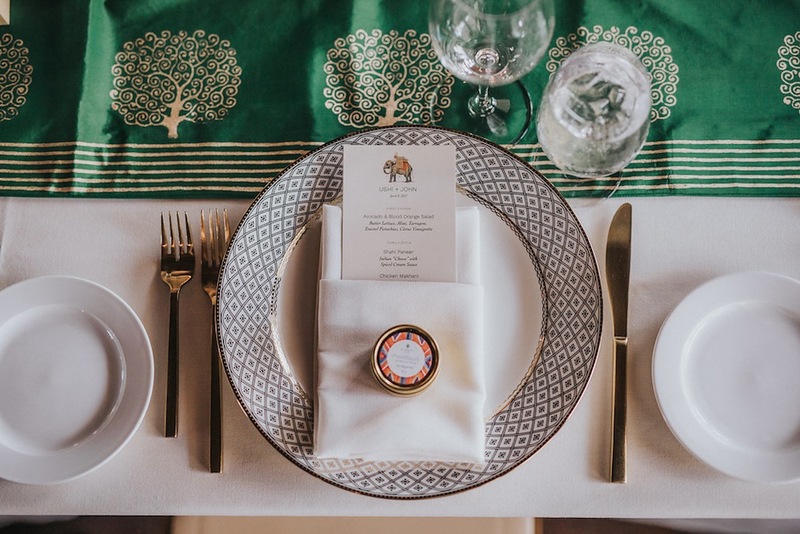 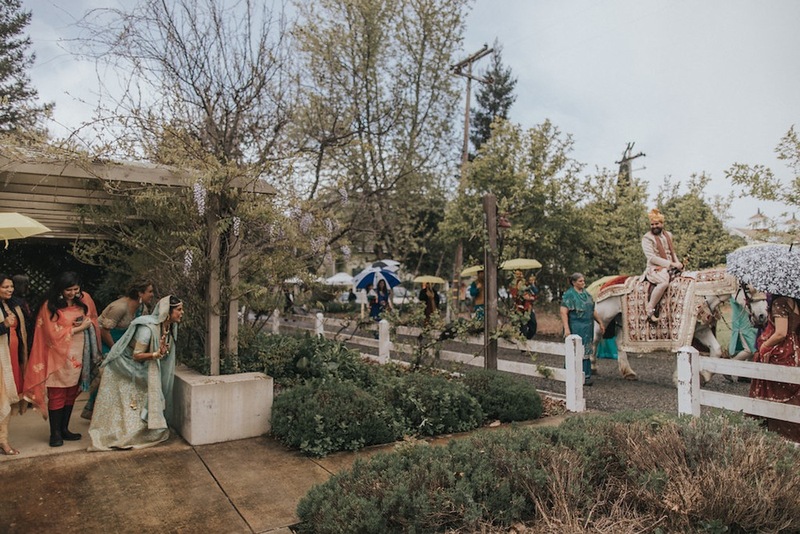 There were several traditional Indian details throughout the event like the intricate mendhi that Ushi wore on her hands and feet and the Baarat horse. 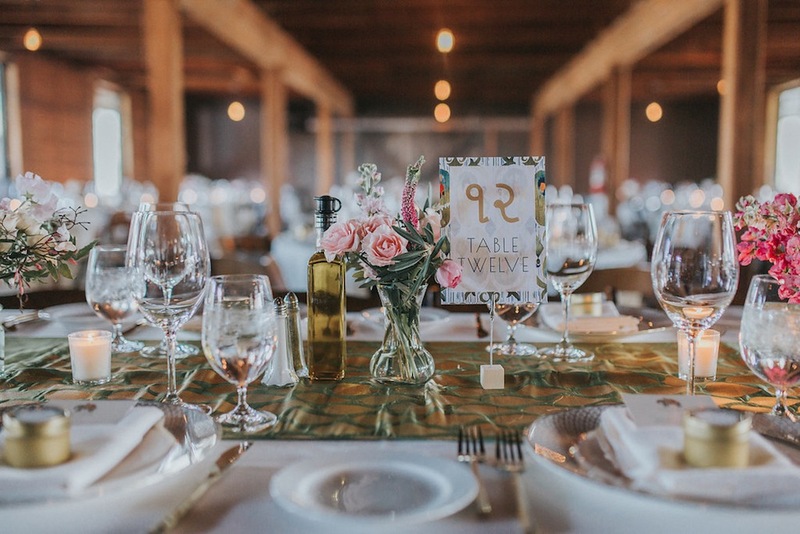 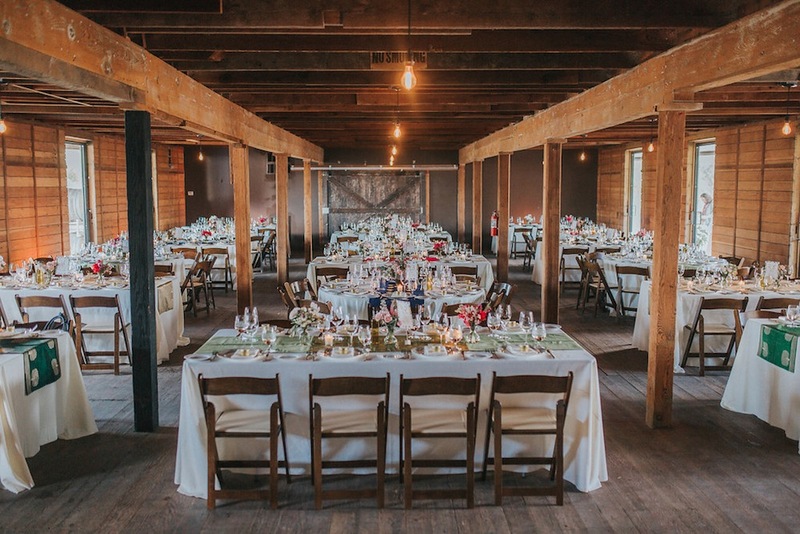 Dinner took place inside of a hop barn and each of the tables had their own custom made and different color table runner that Ushi brought back from India. 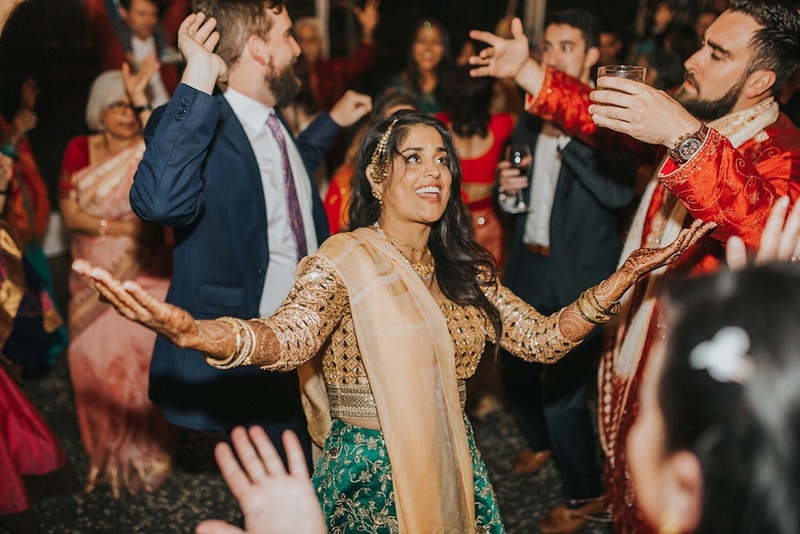 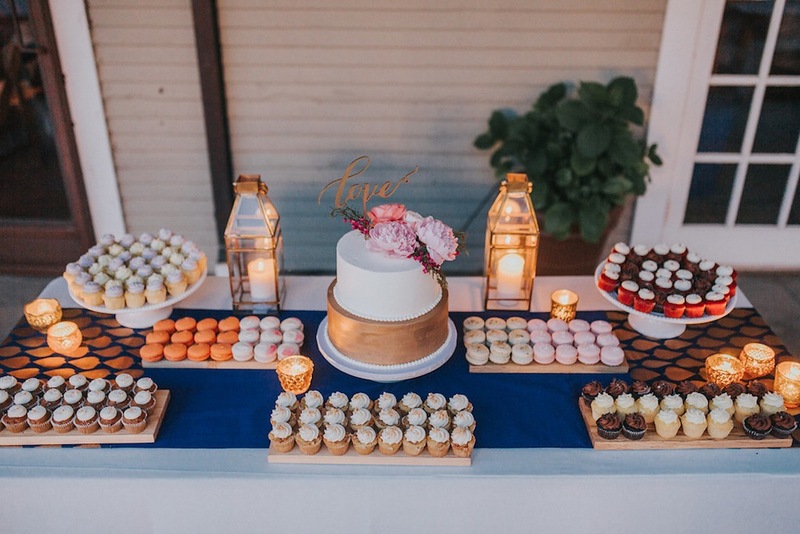 Guests danced in a clear tent lit with bistro lights and dinned on an epic dessert assortment that included macaroons, cupcakes, chocolate chip cookies with milk shots, apple crumble and a kulfi pop station.